We have seatings at 9:00am, 10:30am, noon, and 1:30pm. 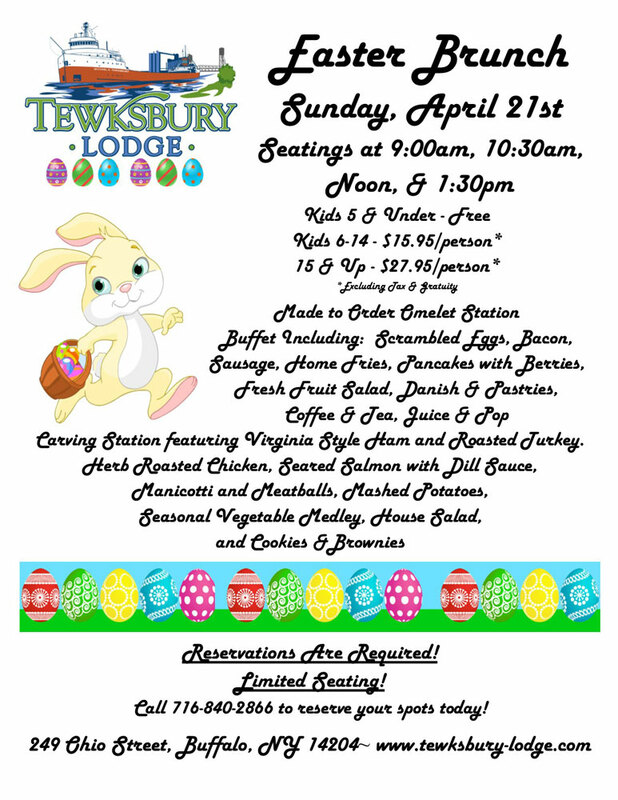 Easter Lunch Buffet begins with a 12:30pm seating. On the buffet is a carving station with Virginia Ham and prime rib, along with favorites baked tilapia, herb roasted chicken, oven roasted red potatoes, house salad with choice of dressing, fresh rolls with butter, seasonal vegetables, and a assorted cookie & pie display.